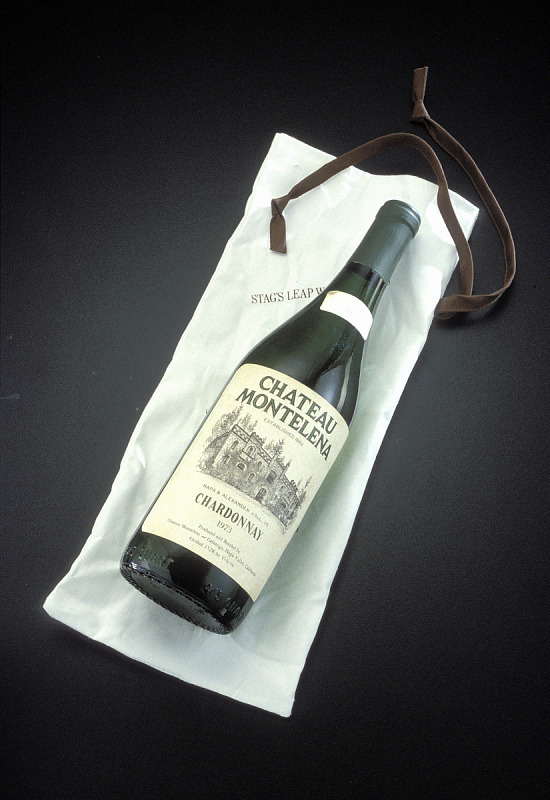 In 1976, in honor of the American Bicentennial, Steven Spurrier, a wine-shop owner in Paris, organized a blind tasting, pitting renowned reds from Bordeaux and whites from Burgundy against Cabernet Sauvignons and Chardonnays from California—varietals considered the exclusive domain of the French. Although the tasting had started as a publicity stunt, when two American wines—red and white—placed first, the event took on unexpected significance. The “Judgment at Paris” was a triumph for California winemakers and changed the way people at home and abroad saw the new American wine industry. The panel of judges receiving one of the white wines to be evaluated. As is typical in blind tastings, the bottle is concealed. This 1973 Chardonnay from Napa Valley’s Chateau Montelena placed first at the 1976 Paris tasting, ahead of the best French white Burgundies. The winemaker was Miljenko (Mike) Grgich, who had come to California from his native Croatia in 1958. Gift of James Barrett, owner of Chateau Montelena Winery. 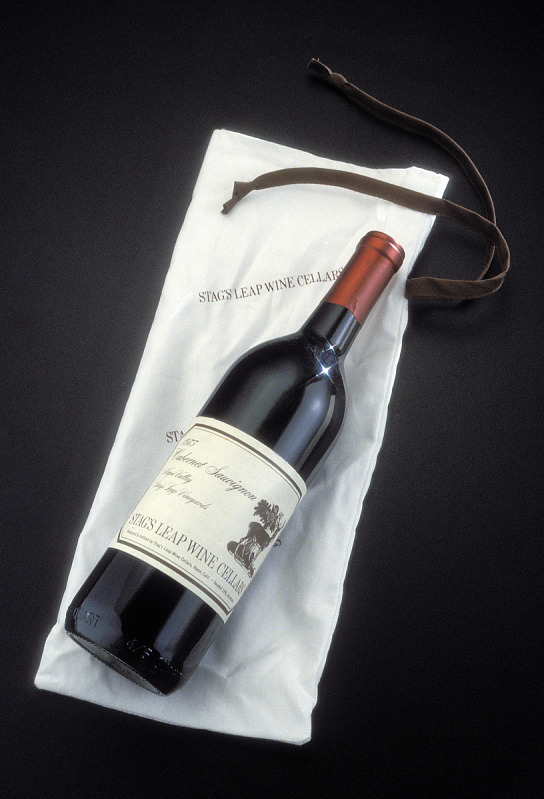 The 1973 Cabernet Sauvignon from Stag’s Leap Wine Cellars in Napa Valley placed first among the reds in the 1976 Paris tasting. It was the second crop and first vintage produced by winemaker and winery founder Warren Winiarski. Gift of Warren Winiarski.